In many ways the key figure of the famous Young British Artist moment, Gary Hume is an English author best known for his highly stylized pictorial depictions of everyday objects created with high-gloss industrial paint. Via his colorful and kitsch work that is one of the finest and mildest examples emerging from the oftentimes extreme arts of the YBA, Gary explores the dualities of our nature, investigating such notions as desire, repulsion, sexuality and innocence. 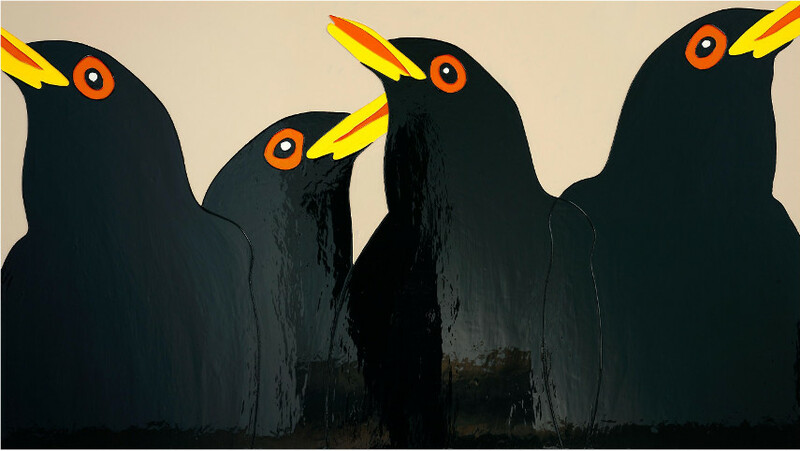 Hume’s art and its development was an interesting journey that saw him change many styles and subjects, starting with the minimalistic, abstract compositions and ending up with much more fluid, borderline lyrical images of animals and celebrities. Gary Hume was born during the year of 1962, in Tenterden, a town in the Ashford District of Kent, England. He attended Homewood School before he went to study at the Goldsmiths College, where he graduated in 1988. 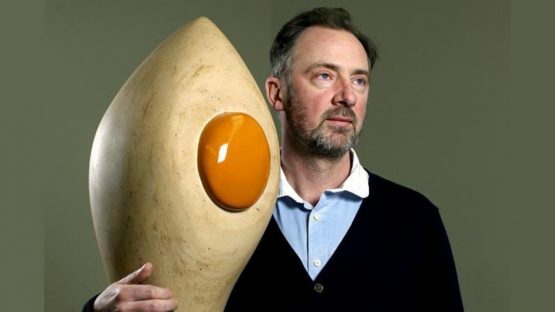 Gary’s early works were a part of two very important YBA exhibitions – The Freeze, a show organized by Damien Hirst in 1988, and East Country Yard, a warehouse exhibition organized by Henry Bond and Sarah Lucas in 1990. Soon, Hume became nationally known for his depictions of everyday subjects using high-gloss industrial paints that made his work truly stand out. His earliest notable series of artworks was the now iconic Door Paintings project. These were life-size representations of hospital doors that were shown in England, Germany and the United States. Hume finally abandoned doors as a subject in the mid-1990s, turning to paintings in household gloss paint on aluminum panels. For these, Gary often used appropriated images, including the pictures of celebrities and animals. Hume’s work was included in the 1995 exhibition Brilliant!, a showcase of works that paid tribute to the successes of the YBA. From around that point on, his forms and colors were dramatically simplified, with people being reduced to just two or three colors per the depicted individual. Initially, Hume used mainly bright colors but later turned towards much more muted tones. Gary’s Yellow Window (2002) was a genuine milestone for both the author and the British contemporary art history as it broke records when sold at auction at Christie’s. 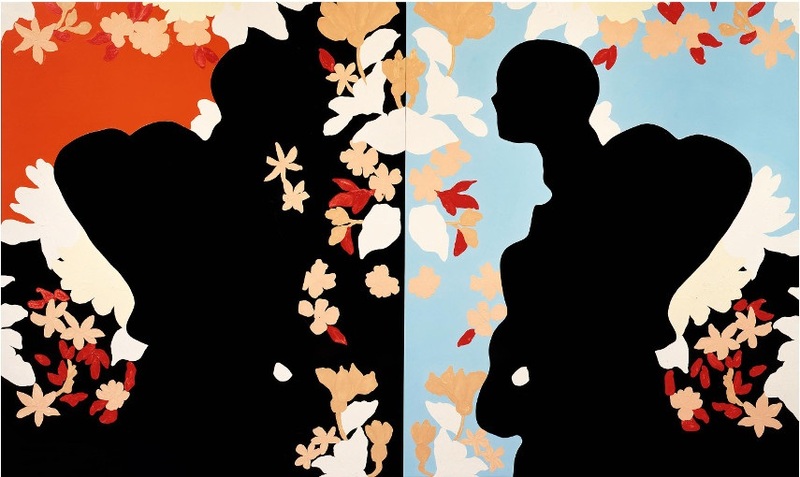 Interestingly, Hume revisited his Door pictures in 2005 when he started arranging them into pairs of lovers and giving them the titles The Couple and The Argument. Besides his regular studio in London, this artist also maintains a second studio in a converted barn on the grounds of a former chicken farm in New York’s Catskill Mountains region. This alternative location offers the author with an abundance of different creative stimulates, as evidenced by Gary himself who stated the following concerning his New York studio: Where I live in New York, there’s a wood. I heard an owl in the night. Next day I found one of those “Happy Birthday” balloons caught in the trees. It had almost deflated. I imagined the owl, utterly indifferent, watching the balloon float by as it slowly collapsed. That’s how I see life. I’m the owl, totally disengaged as the balloon bobs. The edge is the only thing that matters. I used to think of the areas of color as tectonic plates meeting, so in the paintings it’s like there are these molten plates that would hit each other and dry. I wanted one of those plates to be higher than the other, and I wanted the hit to be more abrupt. This principle and approach to art making, as the artist explained himself, caused the simplified, reductive aesthetic that made Gary so important for the YBA moment. By exuberantly embracing kitsch and developing highly stylized aesthetics, Hume managed to make a compromise between representation and abstraction. For that reason, his vibrant color contrasts and flat, Pop-like compositions cemented this author’s name in the history of British contemporary art. This artist is represented by White Cube Bermondsey London, Weng Contemporary, Galerie Fluegel-Roncak and White Cube Mason’s Yard London. Gary Hume lives and works in Accord, New York, and London, United Kingdom.